NOTE 1: Only site administrators can edit the site main menu. NOTE 2: Use caution when editing the site menu – there is no backup for it. NOTE 3: If your existing site menu is long and you have to scroll to reach the bottom, consider contacting CALS Web Services for help – email websupport@cals.wisc.edu. 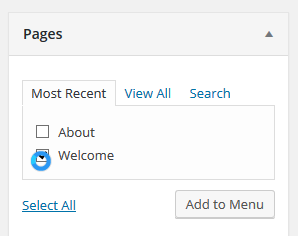 On the WordPress Admin Dashboard, click Appearance..Menus. The Edit Menus screen appears. If your site has only one menu, the name of the menu appears in the menu name box. 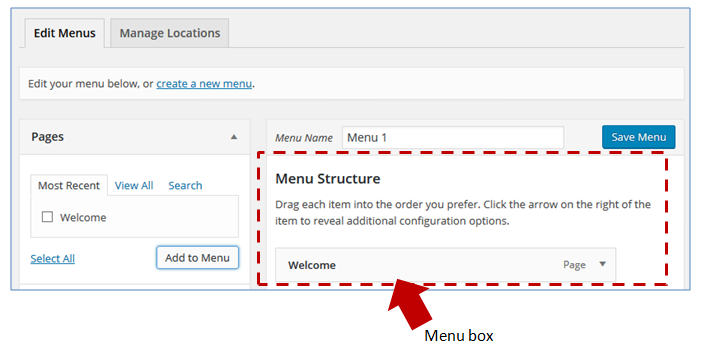 If your site has two or more menus, next to Select a menu to edit, click the down arrow and choose the entry with (Primary Menu) after the menu name and click Select. NOTE: Some sites may have multiple legacy menus. Email websupport@cals.wisc.edu for assistance. 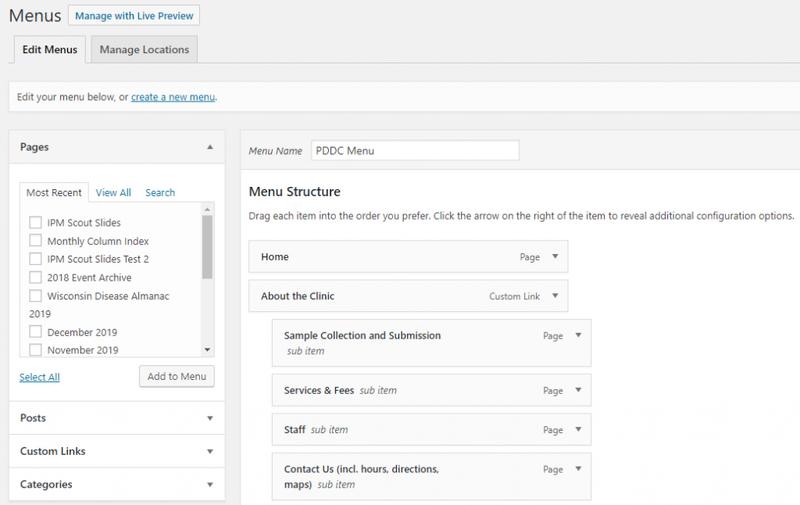 Notice how the indented entries in the Menu Structure correspond to the child entries on the menu drop-down. You can change the order of the menu entries by dragging and dropping the blocks under Menu Structure. Drag and drop the blocks left or right to make them parent or child menu entries. Note: this can be a little tricky.